Here will answer some of the most freqently asked questions. Please contact us if you cannot find the answer to your question. 1. How often is the data updated? The frequency of updates is dependent on the reporting requirements of the jurisdiction in which the holder is based and the type of holding. Canadian mutual funds are required to report semi-annually although some report quarterly and a few list their holdings on a more frequent basis on their websites. Significant holders (10% in Canada, 5% in the US) must file within a few days of purchase or sale. US holders of more than $100 million assets must file quarterly. Report Date: Please note that the report date listed on our site is the date on which the data was compiled by the holder. It can often be 3 or 4 months from that date before they make the information public. Therefore, a report date of Dec 31 might seem old but in fact it was released in May of the following year. 2. Where does the holdings information come from? 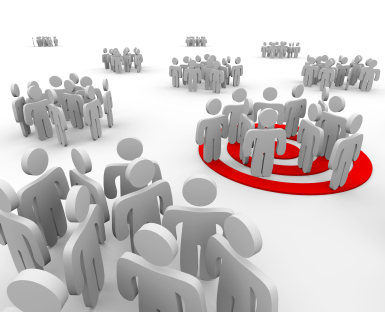 Targeted has been collecting holdings data for 7 years. We monitor Edgar and SEDAR filings, Early Warning Reports, Insider Reports, Proxy Circulars, Companies’ financial statements and many websites with holdings data. 3. Why do there appear to be duplicate holdings for some securities? Large institutions often manage money for private individuals and pension funds that are not required to make public filings. Where they have significant holdings for any given security (see How often is the data updated?) these institutions are required to file statements of aggregate holdings, either an Early Warning Report, and Alternative Monthly Report, an Insider Report, or the US equivalent. So we would include the aggregate holdings for a given security as well as each of the individual fund positions for the same company in order to ensure that other holdings are included. 4. How do I look up a security? Click on Securities Search on the menu on the left hand side of your screen. Enter a ticker, select the number of holdings you wish to see and sort order and click the GO button. Alternatively, type in the first few letters of the name of the issuer, select name and click the GO button. 5. How do I look up a holder? Click on Holders Search on the menu on the left hand side of your screen. Enter the first few letters of the name of the holder and click the GO button. 6. How many users can access the database per user account? Only one user at a time can log in with a username and password. If a second user attempts to use the same login information, the first user will be logged out. For addition user accounts, contact Targeted Inc. at info@targeted.com or call us at 416-523-5150. 7. What are Recent Data Changes? These are the most up-to-date holdings in the Targeted database. These are usually Early Warning Reports and holdings of insiders, officers and directors. 8. What are Portfolio’s and how do I manage them? When you bring up a list of a security’s holders, or a list of the complete holdings of a company you can add them to a custom list by clicking on ADD TO PORTFOLIO in the box on the right hand side of the screen. Thus, if you have a list of 10 securities that you look at regularly, you can go to YOUR PORTFOLIOS and click on the name in the list, rather than have to enter a ticker or name every time. We will also email you when a data change is made to any of the contents of your portfolio. 9. Why would I want to sort holdings by increase or decrease? For securities with a large number of holdings, a sort by increase will give you a list of largest purchasers and a sort by decrease will give you a list of largest sellers of the security. 10. How do I download holdings information to EXCEL? Click on the EXCEL logo on the right hand side of the screen after you display the holdings. 11. The pages don't print properly. How do I print? After you have displayed the holdings you will see a "Print this Page" on the right hand side. Click on the link and a new page will open up that is printer friendly. 12. How much does the service cost? For current subscription prices please click here. home | products | services | about us | contact | e-mail | links | f.a.q. "The share ownership information compiled by Targeted facilitates efficient sales and trading coverage of the investing public, more effective share distribution enhancing share values and good corporate governance." Investment Dealers Association of Canada.